Before I share the pattern, I want to take a moment to share with you how much I am loving this “Velvety” yarn from Red Heart. It’s super soft which is a given for the “love” factor.. but even when you make a mistake and go to ribbit it all out, it pulls back out so easily! Major bonus! -note- If you need to adjust the width, you are making your starting FSC in counts of 2 + 1. Row 2-4: CH 1. Turn. SC into each stitch across. 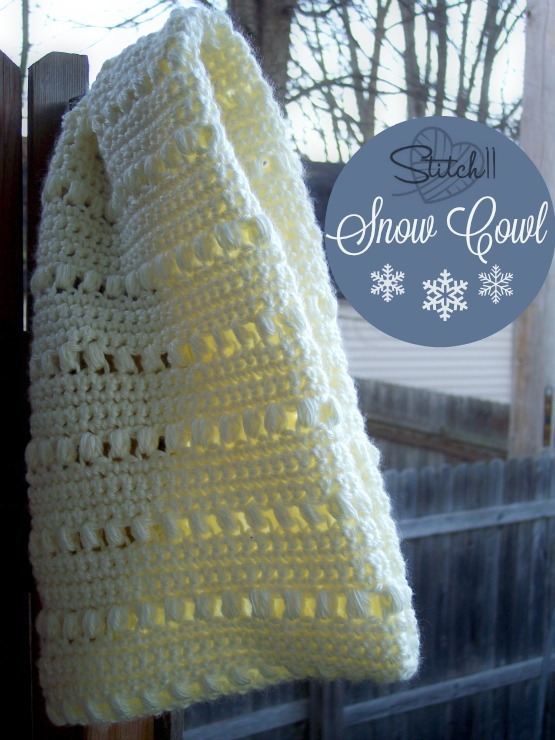 Repeat rows 5-9 until you reach the end of the skein. Attach both ends together using your yarn needle. For more beautiful scarf patterns, check out these from the past! 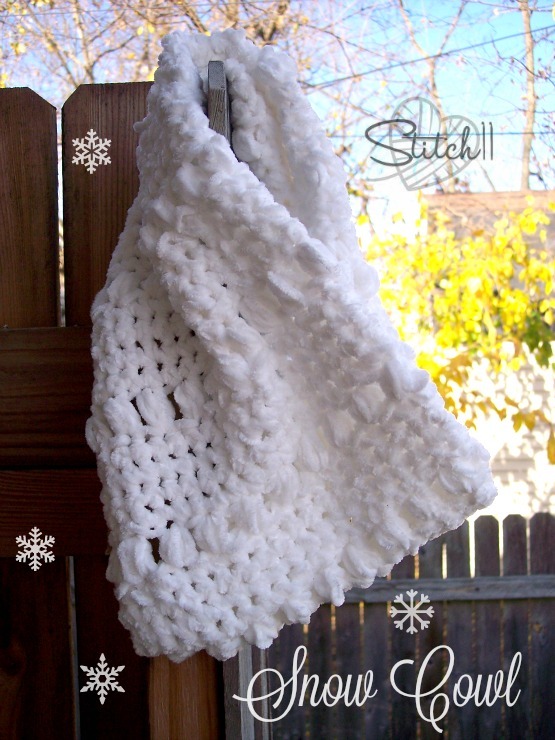 For the snow cowl in the photo above- I used Caron Simply Soft, size I crochet hook and started with a FSC of 35. Hello! This scarf is so beautiful. Can you please tell me what the finished length of this scarf would be with one skein? I’m using a different yarn and just wanted to make it exactly the length it would be as you have the pattern written. Thanks!